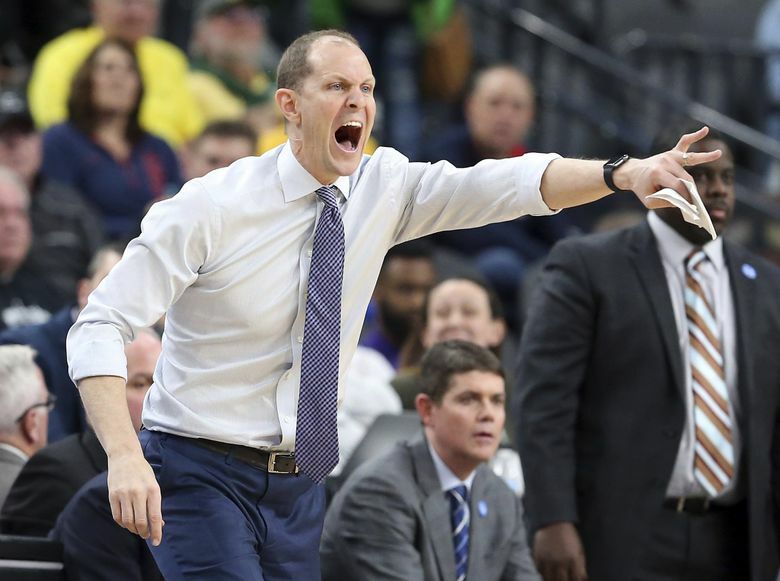 Hopkins will join NBA reporters Shams Charania and Chris Mannix, former Atlanta Hawks general manager Wes Wilcox and college basketball reporter Pete Thamel. Add a new job title to Mike Hopkins’ resume – NBA draft analyst. The Washington men’s basketball coach will be part of Yahoo Sports’ live NBA draft coverage next Thursday, replacing Georgia coach Tom Crean on the broadcast. This is the third year Yahoo will provide streaming coverage of the NBA draft. Hopkins, a former Syracuse assistant before joining Washington last year, will have extensive knowledge of Pac-12 and ACC players. UW junior Noah Dickerson considered turning pro before choosing to return to school – a decision that removed the Huskies from the NBA draft for the first time since 2015. Last year, the Pac-12 set a league record with 14 players selected in the NBA draft, including former UW Husky Markelle Fultz who went No. 1 overall.